September statistics show Kiwis have become increasingly active in the housing market as the weather warms up, with a flood of new listings in Northland, Auckland, Wellington and Southland. The Auckland region led the way, up 31% compared to September last year. Nationally, listings increased 11.7% on the same month last year. Housing stock also grew significantly in the month of September, with 22,847 homes for sale. In this blog, we look at some of the key statistics across the country from the latest NZ Property Report, which indicate that now could be a great time to sell or start looking for your next home or investment. Auckland had the biggest increase of new listings, with an additional 3,896 homes for sale (up 31%) in the month of September, compared to the same time last year. This was followed by Southland, which recorded 274 new listings for the month (21.2% increase). The region's total housing stock was 445 in September, so more than half of this number is from new listings — a much-needed boost to the market. In the popular summer region of Northland, listings reached healthy levels, with more stock on the market compared to the same time last year. There were 406 new listings in September, an increase of 13.7% to the previous year. Total housing stock was 1,255 (up 8.6% on the same month last year). 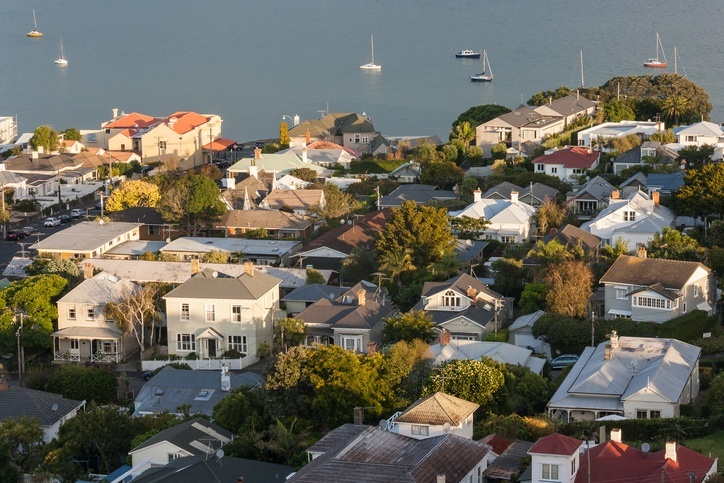 In Wellington, there were 688 new listings (up 13.5%). The uplift is a great indication of growing activity in the historically tightly held market. Nationally, asking prices reached an all-time high of $690,733 for September (4.8% increase on the previous month), supported by record highs in six regions. Central Otago/Lakes had the highest increase in average asking price, rising 8.5% in September compared to the previous month, to $1,105,462. This is the highest increase recorded in any region since records began in 2007. The growth is the result of the region having a fairly small inventory, dominated by high-end homes. Otago followed Central Otago-Lakes by registering record property asking price highs for the second month in a row. The average asking price increased 3.8% in September to $416,941. Other regions that recorded increased asking prices for the month were Wellington, up 1.2% to $646,957, Canterbury, up 0.8% to $511,829, and Hawke's Bay, up 0.7% to $524,607. In Southland, property asking prices were up 2.6%, but of the six regions, it recorded the lowest actual average asking price by value ($318,177). The total number of houses for sale increased in six regions in the month of September: Northland, Auckland, Waikato, Bay of Plenty, Nelson and Bays and Canterbury. Nationally, there were 22,847 homes on the market in September - the highest number in a September month since 2015. The figures indicate market confidence from sellers, and property hunters have been equally active, with viewings at online listings across the country reaching summertime levels. Whether you're considering buying or selling, now could be just the right time in your desired region, thanks to high levels of listings and buyer activity.